Liam Neeson is the believable weathered action hero that has that “special set of skills” that makes him (most attractively) your worst nightmare. Not since Jack Bauer or Jason Borne (or before both of them, Chuck Norris) has an action hero come along that you get so enraptured in by his doing so little on screen. Taken, Taken II, Taken III, and then The Grey...and, hell, it doesn’t matter from there since we were “taken” with the fiery Irish Neeson right from the beginning. But now we’re at The Commuter and Neeson’s “special skills” are not so apparent. 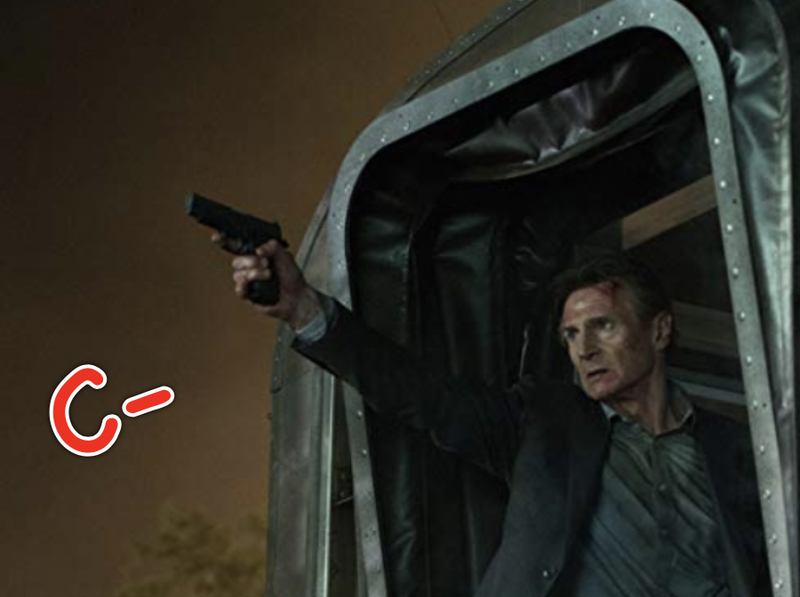 Neeson plays “Michael MacCauley,” an insurance salesman and ex-cop who is about to see his luck take a turn for the worse. On a subway ride home, he is approached by a strange woman (Vera Farmiga) and, in turn, finds himself trying to figure out the identity of one particular passenger. The stakes are high, especially when he finds out he is being watched and his family is involved. As the mystery turns into a full-blown criminal conspiracy, he finds he cannot just walk away and let it all go. 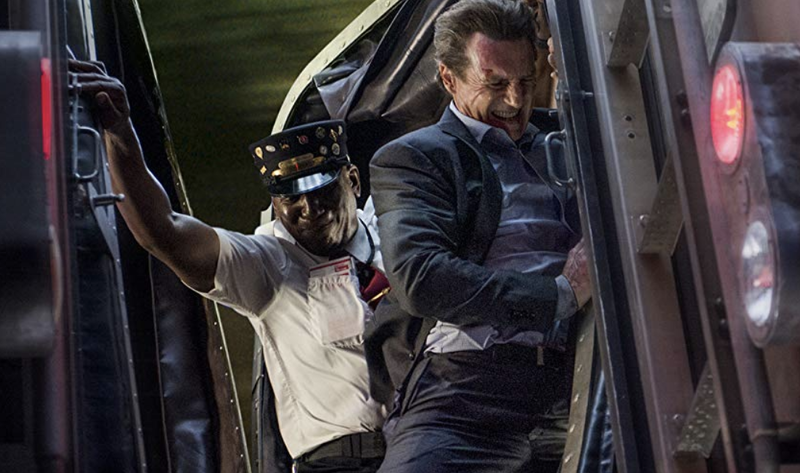 The Commuter has the right cast and the right backdrop. It gives us the appropriate feeling and mood to make our ride into the heart of the plot an enjoyable one. And this is the reason why we want to watch for so long and with such intensity, as we wait for things to finally start appealing. But this doesn’t ever really happen. The first reason for this is the writing. We never quite buy into the reason as to why MacCauley was selected to carry out his task in the first place. Sure, he was a ten-year regular commuter and knew the passengers, but so many other ways existed for the antagonists to handle their business. This means that the plot, and anything connected to it, doesn’t ring true. And then there is the second problem—hollow characters. Beginning from the very first train ride, it becomes apparent that the characters we come to know are mere cardboard cutouts of who they are supposed to be. Everyone lacks dimension. It isn’t until the end of the whole dramatic ride that we find even one young girl we can relate to. MacCauley is supposed to know most everyone on the train, and yet the encounters with people he does know aren’t flushed out with the social intimacy needed to make the interactions feel reel, with trust and a sense of some sort of social contract. Hammy and less-than-funny comic relief drop-offs between tense standoffs never have the intended effect. Add to this, the plot isn’t thick enough to make us feel compelled to wonder what happens next. MacCauley is raw and real, but we are left wondering whether or not he’s lost his edge. What we get in the old cop-turned-salesman doesn’t inspire confidence or concern as to whether he will complete his task—and honestly, we don’t too much care. Were it not for the fact that this is Neeson we are watching, we’d have no confidence or interest at all. Bottom line: This should not be held up as one of Neeson’s works.